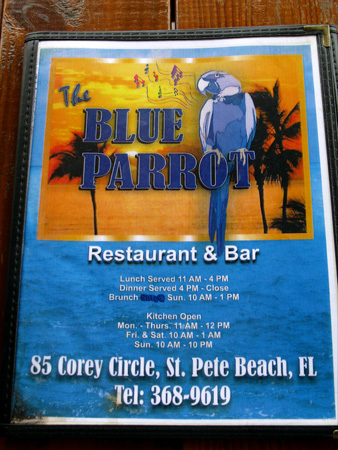 We had breakfast at the Blue Parrot, on St Pete Beach, this morning. 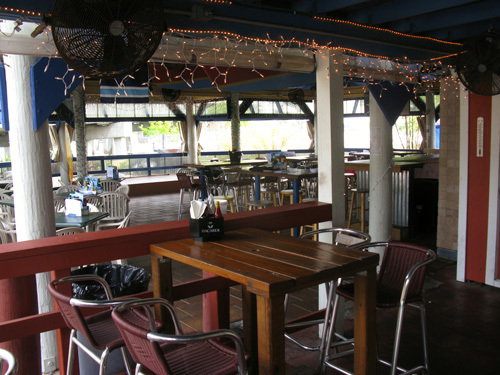 Sundays are relaxed and laid back here on the Florida beach and going to the Blue Parrot for breakfast certainly enhances the feeling. Even though it was a bit overcast and hazy, we met some folks from our Solo Build It! Business group over here just off the Corey Causeway in St Pete Beach for the Sunday brunch. Although, this place is packed in the afternoon and evenings due to the outstanding schedule of live music, there were only a few other people here after early church services. 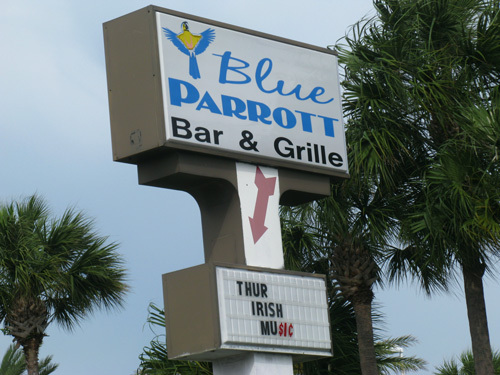 Sunday brunch at the Blue Parrot pretty much defines the slow-paced, easy-going, surfer atmosphere of St. Pete Beach. 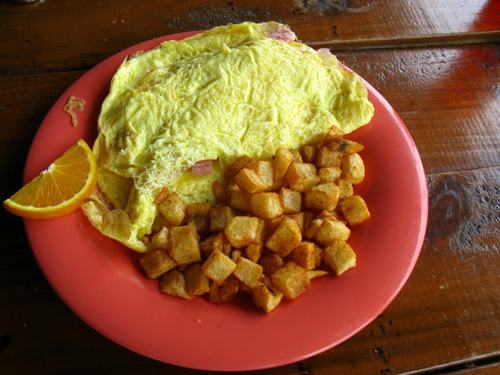 Hidden away, at 85 Corey Circle, about a 1/2-mile east of town, there were plenty of tables outside to quietly enjoy a great omelet. We definitely knew we were in the right place when we saw this sign at the entrance. 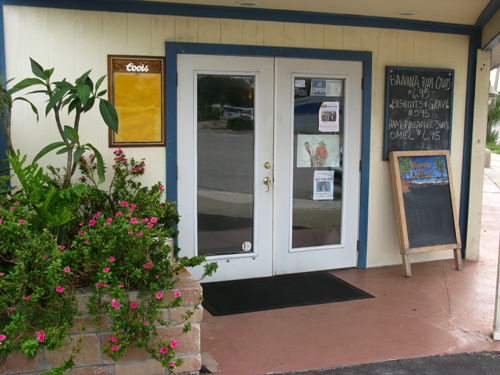 The menu right next to the door let us know that a Blue Parrot original, the "Hawaiian Omelet", was featured this morning. The breakfast menu had some interesting items...but we wanted to taste that Hawaiian Omelet that was advertised out front. We were NOT disappointed. This was a great omelet. I don't know how many eggs they put in it, but a lady and I split one...and we were stuffed. The waitress was great. 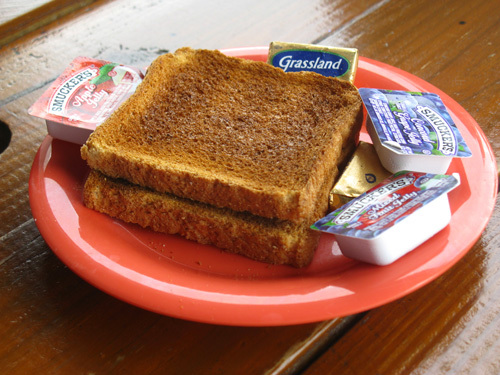 She had brought out our toast earlier...a few minutes before our omelet was done...so she brought out another serving just so we could eat it warm with our entree. Talk about classy service. 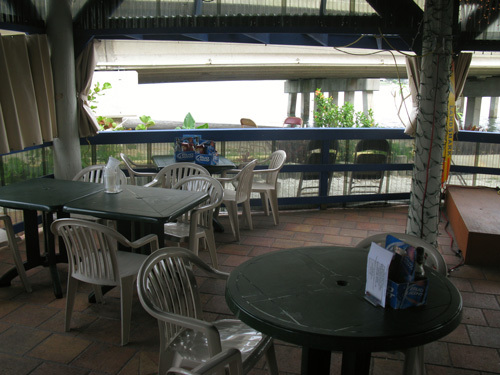 The ONLY downside to breakfast at the Blue Parrot (or actually any meal there) is that there is no waterfront view. 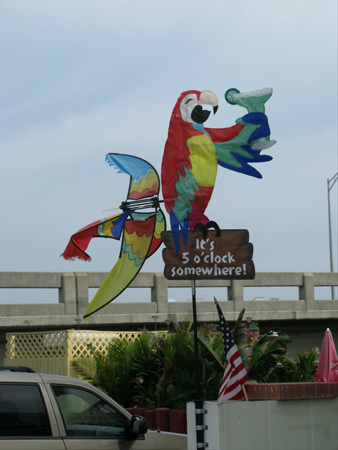 The Parrot is tucked away beneath the Corey Causeway drawbridge and there is not much view of Boca Ciega Bay. Are you thinking you'd like to retire in Florida?